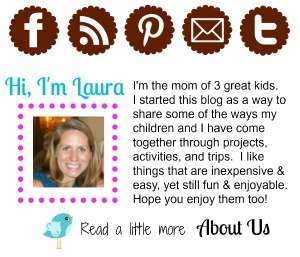 Just a quick post to let you know about a few new things here at Come Together Kids. "I'm all signed up, now what do I do?" First, Come Together Kids is now on Twitter. The little guy above basically shows how I'm feeling about it right now ~ totally bug-eyed and confused ~ but I'm going to try to figure it out. 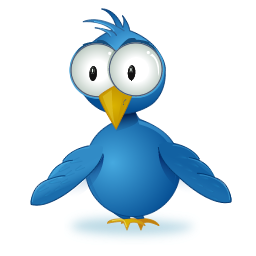 I have a follow me button on my left sidebar, but I just ask for your patience. I'm trying to learn how it all works, but all those symbols have me a bit overwhelmed. If you're on Twitter, please follow me and if you notice I'm not doing something right, please send me a message so I'm not sticking # signs where they don't belong or something like that. Next, I did a little bit of blog organizing over the weekend. 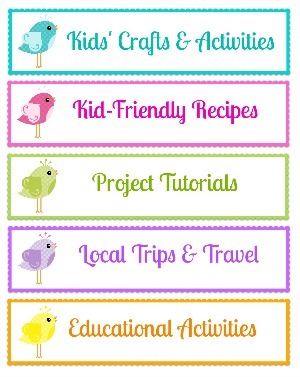 You'll notice three new tabs at the top of the page ~ Kids Crafts/Activities, Tutorials, and Recipes. I wanted to make the blog a bit more user friendly, so I cataloged some of our favorite posts into categories ~ things for the kids to do, tutorials for the adult to do for/with the kids, and food related posts. I also kept the For the Locals tab for outings and trips here in the mid Atlantic area. I hope this makes it a bit easier to find new ways to come together with your kids. Finally, I'll have a few new themed link parties coming soon ~ Parties, Halloween, and Fall Fun ~ so get your posts ready to link up. I'd also love to feature guest posters for any of those themes. If you would like to share your post (either new or not recently posted), please just let me know.